If you are getting a DNS_PROBE_FINISHED_NXDOMAIN error, you won’t be able to access the Internet. The error indicates a non-existing domain. The error is annoying, right? But don’t worry, we have provided 5 easy solutions that could fix the issue. Before we look at the solutions, let’s first understand what DNS is and how it is related to Internet access. What is DNS and what is its role in your Internet access? When you type a URL in Chrome address bar, your browser sends the website URL to the Domain Name Server which returns the IP address of the website you want to access. If the DNS is successful in finding the IP address for the domain name, the browser starts loading the website. If the Domain Name Server is not able to find the IP address related to the URL, it returns an error like DNS_PROBE_FINISHED_NXDOMAIN. While this error usually occur when there’s some problem with the website or Domain Name Server, you cannot ignore the possibility of something amiss at your end, like wrong settings, corrupt cache or anything else. Now let’s look at the solution. Here we have provided 5 solutions but you don’t need to try all of them. You can start with the first solution. and if it does not work, move to next and so on. 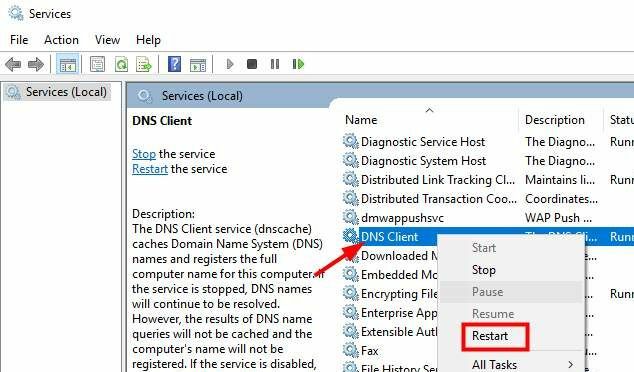 The DNS client service in Windows works to cache and resolve Domain Name System names. 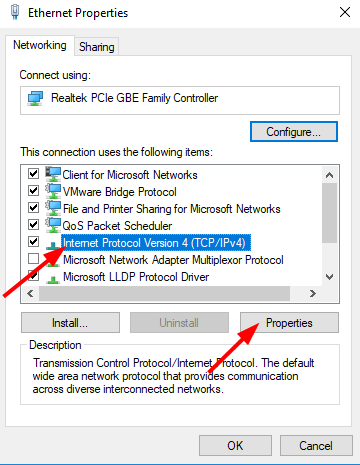 The DNS client service is enabled by default in Windows 10. Many users were able to resolve the issue by restarting DNS Client Service. Here are the steps to follow. Open a browser and try accessing any website. If the error is not resolved, move to next solution. Browsers store information of the websites you visit. This information is stored in form of Internet cookies and cached files. 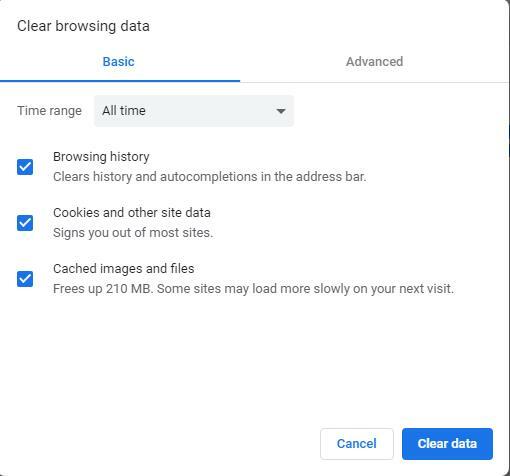 Whenever you visit any site again, the browser uses the cookies and cache to access and load the website faster. Over time, a large volume of cookies and cached files gets stored in your computer and there is a possibility some cookies have expired that could lead to errors like DNS_PROBE_FINISHED_NXDOMAIN. A simple solution to this problem is deleting cookies and cache which will force the browser to start anew when loading any site. Here are the steps to follow. Restart Chrome browser and see if you are able to access the Internet. The DNS servers for your internet connection are selected by your ISP providers. There is a possibility the DNS server of your ISP is having some problems that could lead to an error like DNS_PROBE_FINISHED_NXDOMAIN. In such situation, you can change the DNS settings that will force the browser to use recommended DNS servers. 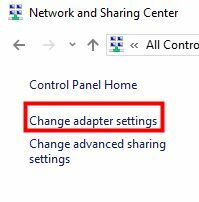 Here are the settings to follow. Whenever you visit any website, the IP address of the website is stored in DNS cache. There is a possibility the IP address of the website has changed and your computer is still using IP address stored in DNS cache. To resolve this problem, you need to clear DNS cache by executing commands from a command prompt. Here are the steps you need to follow. 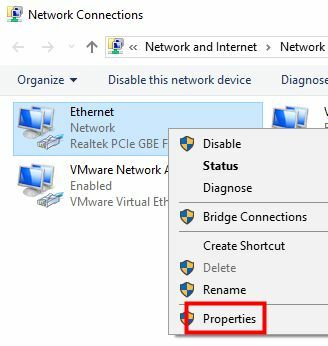 If you are using any VPN service, try disabling it and see if it resolves the issue. If none of the solution has worked for you, try disabling anti-virus temporarily. The steps to disable antivirus temporarily differs with each anti-virus. You need to refer official documentation of the anti-virus to know the exact steps to disable anti-virus temporarily.